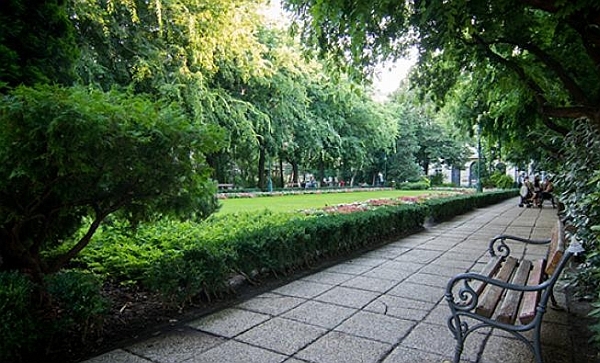 While peace and quiet is harder to find in Pest than it is in leafy Buda, you don’t have to trek out to City Park or Margaret Island to experience what is known as "park life" as a secluded spot is often never more than a few corners away. 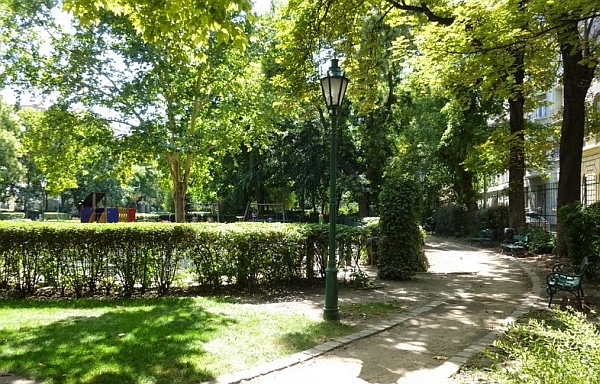 The cute park at Honvéd tér with its trimmed lawn and neat flowerbeds is tucked away close to the busy Pest thoroughfare of Szent István körút but is totally peaceful, bar the sounds of kids playing. There’s also concrete ping-pong tables with iron nets that may be an unglamorous hangover from Communism but they can stand all weather and make for a good game. 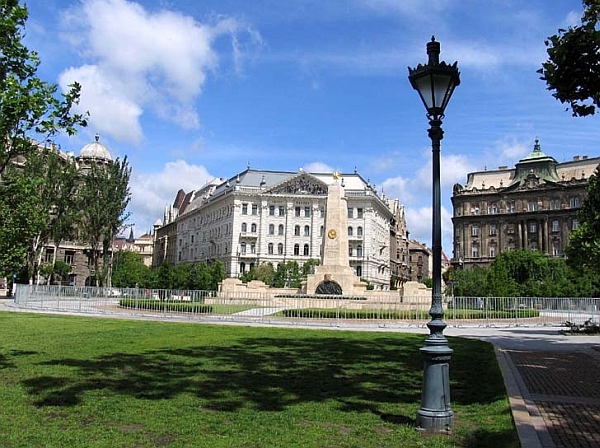 You’ll run into English speakers here and also on the playgrounds of Szabadság tér. Although Szabadság tér, literally Freedom Square, may be synonymous with the violence after the riots of 2006 and repression in the form of the Soviet War Memorial, this big open space, surrounded by colossal buildings that serve to block out the bustle, is a superbly relaxing place and you can contemplate the awesome aspect of the city’s biggerthan- thou architecture. Still on the Pest side, Károly kert also belies its central location close to hectic Astoria, transcending metropolitan modernity and transporting you back to Budapest’s early 20thcentury heyday. Step through the wrought-iron gate and feel at the center of a living bastion of old-world charm. Freedom Square Built on the site of a former Austrian barracks, this vast square has a certain appeal despite its slightly ostentatious nature.